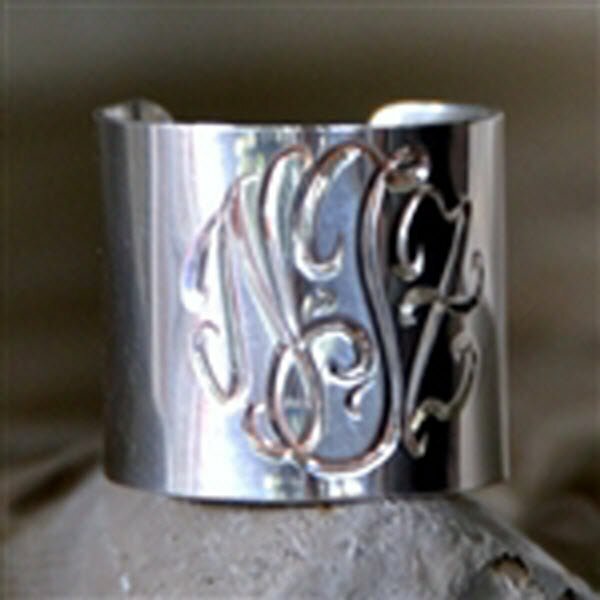 This hand engraved 18mm wide cuff ring is a true statement maker! 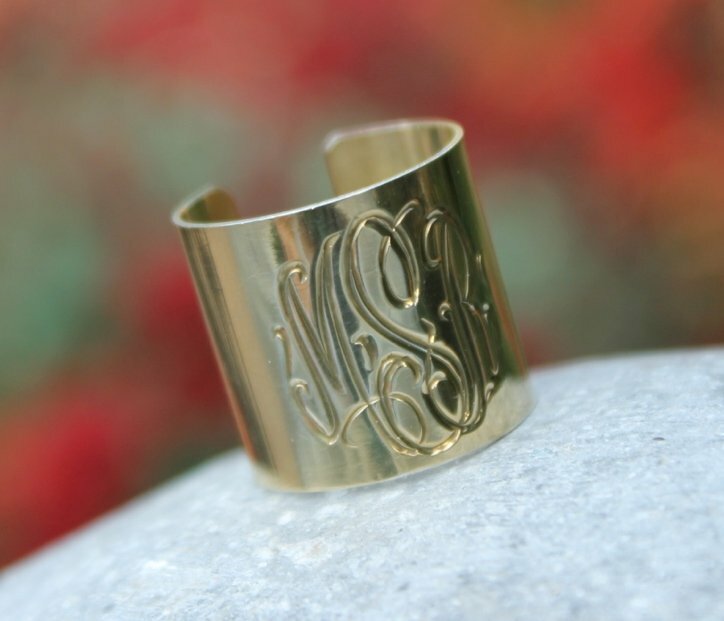 This ring is perfect for a graduation gift or a girl who loves monogrammed jewelry. 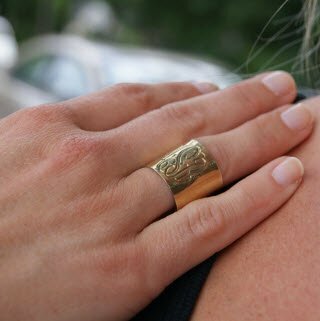 This cuff ring measures about 1/2 inches wide and is deep hand engraved to become a special piece of jewelry to be cherished for years to come. Three letter monogram is engraved on the front of the ring. This ring is open in the back so it can be adjusted. The interlocking engraved font will be used on this ring. Available in sterling silver, gold plated, rose gold plated or 14K gold. This wide cuff ring will be custom made to your specifications. Customer ratings: 5.0 out of 10 based on 2 ratings.